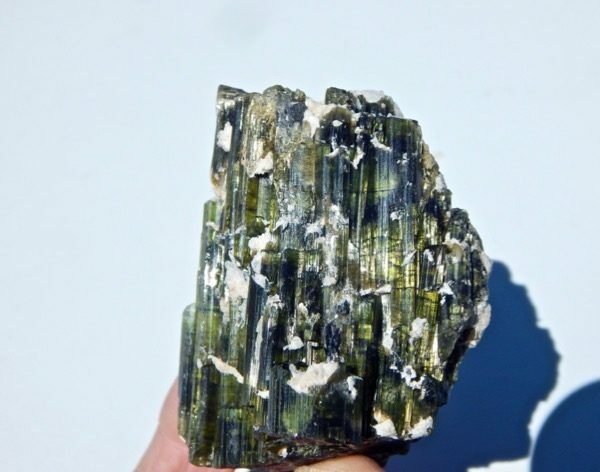 A green elbaite tourmaline from Skardu Pakiston. 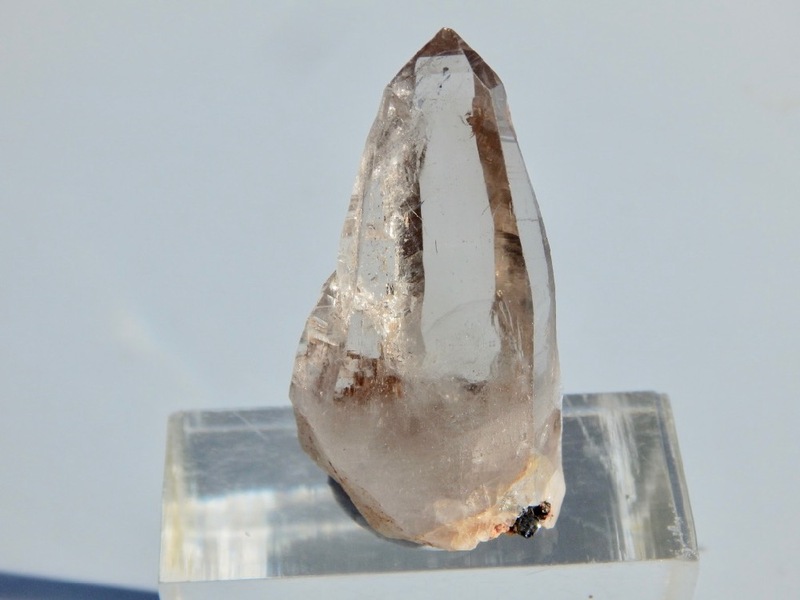 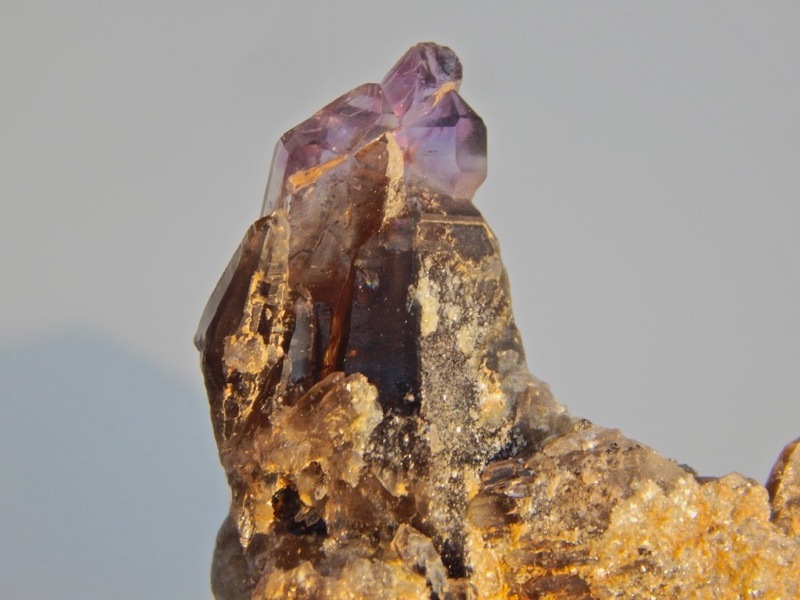 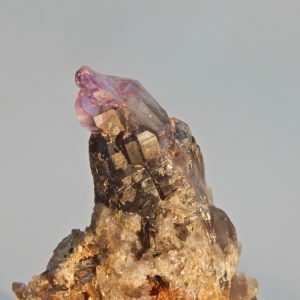 Elbaite, sodium lithium aluminum boro-silicate, named after island of Elba in Italy, is the most well-known and valued species of the tourmaline group. 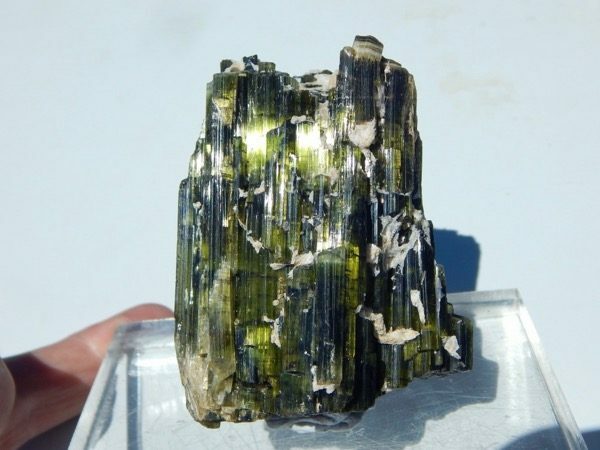 A green elbaite tourmaline from Skardu Pakiston. 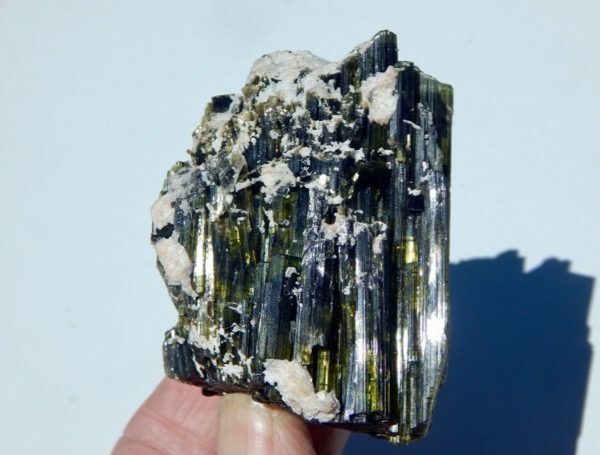 Elbaite, sodium lithium aluminum boro-silicate, named after island of Elba in Italy, is the most well-known and valued species of the tourmaline group. 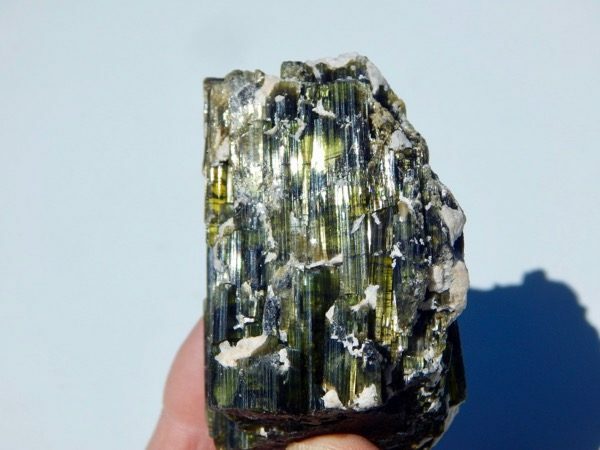 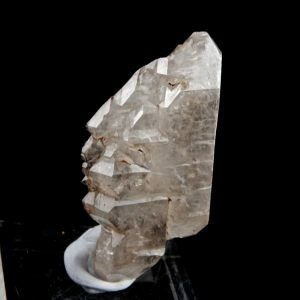 An esthetic and eye catching specimen!This very glassy, well-striated crystal group has sheath of gemmy, olive-green crystals , that are quite transparent when examined closely. 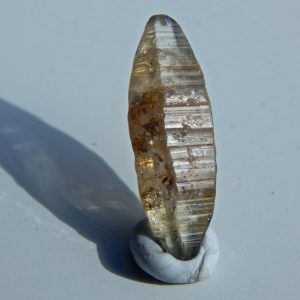 The style is sometimes call “cat’ eye tourmaline” I really don’t know why, because if cut as gemstones, these would not give “cat’s eye” (chatoyant) stone! 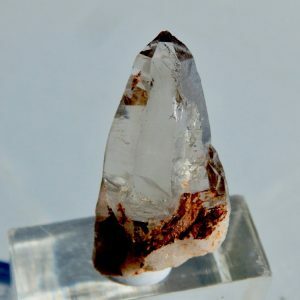 An impressive and very busy specimen, that’s price wont break your bank. 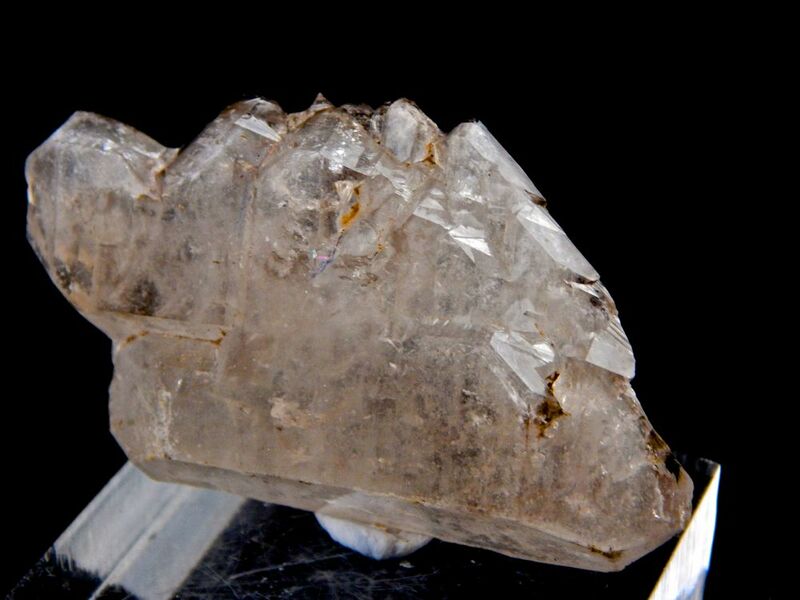 There is a small amount of associated white albite, adding a rather nice accent. 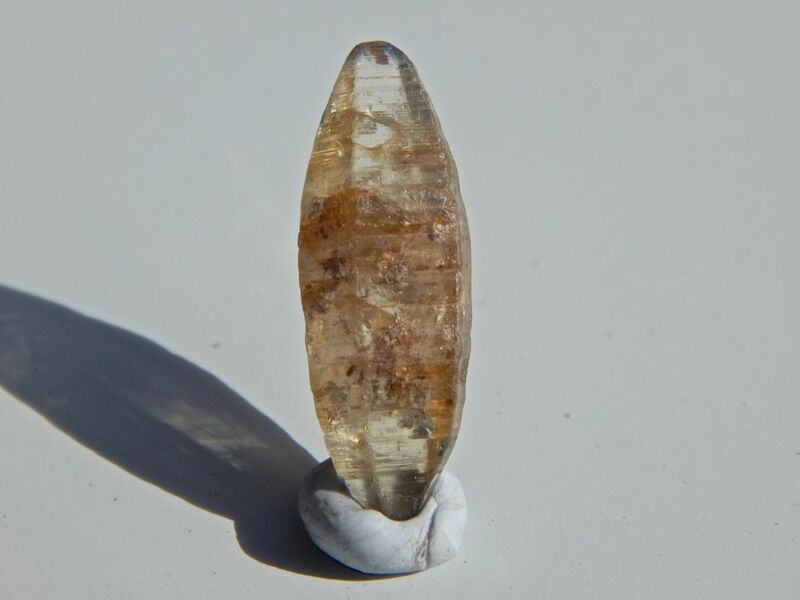 73 x 58 x 56mm.